Boundary umpire, Mitch Le Fevre spent more time getting up and out of his seat and getting behind the microphone than our MC did at our awards function on Sunday 11 February 2018. Mitch had a year that he suggests was “too good to believe.” He was awarded AFLUA life membership for 10 years of service to the association. 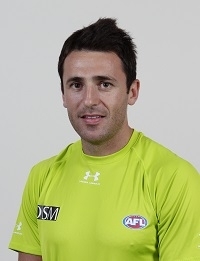 He umpired his first AFL grand final after 228 games, and 13 finals. Mitch went about his job in the same professional manner that he always has since being elevated to the list in 2008, except this time the cards fell his way. Mitch was the recipient of the Murray Williams Shield, being voted by his peers for achieving on-field success, actively contributing to and supporting the AFLUA and role modelling the attributes of commitment, loyalty and dedication. The award is named after Murray Williams. Murray was a VFL umpire for 17 years between 1969 and 1985. Murray amassed 320 games including 25 finals and 4 grand finals. Murray umpired a record 9 preliminary finals. While he never sought office he was a very strong member and contributor to AFLUA affairs. Even today, from his home in Queensland, Murray takes a strong interest in all umpires and the association. He is a selfless and humble man whose personal attributes match those of the award named in his honour. He was in the AFLUA Team of the Century and is a member of the AFLUA Hall of Fame. 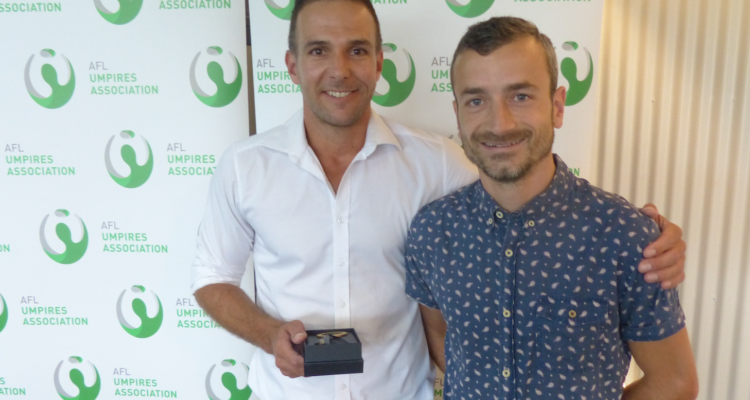 Mitch achieved the highest honour with an AFL grand final. 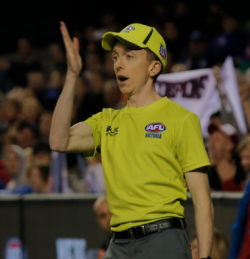 He worked tirelessly in assisting the association develop its collective bargaining platform and he was a strong advocate for all boundary umpires during the year.